Lymph, like venous blood, is under relatively low hydrostatic pressure. As a result, it may not flow readily through the lymphatic vessels without help from contracting skeletal muscles in the limbs, pressure changes from the action of skeletal muscles used in breathing, and contraction of smooth muscles in the walls of the larger lymphatic trunks. Lymph flow peaks during physical exercise, due to the actions of skeletal muscles and pressure changes associated with breathing. Contracting skeletal muscles compress lymphatic vessels. This squeezing action moves the lymph inside a vessel, but because the lymphatic vessels contain valves that prevent backflow, the lymph can move only toward a collecting duct. 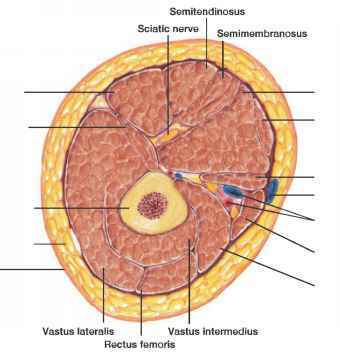 Additionally, the smooth muscles in the walls of the larger lymphatic trunks may contract and compress the lymph inside, forcing the fluid onward. Breathing aids lymph circulation by creating a relatively low pressure in the thorax during inhalation. At the same time, the contracting diaphragm increases the pressure in the abdominal cavity. Consequently, lymph is squeezed out of the abdominal vessels and forced into the thoracic vessels. Once again, valves within the lymphatic vessels prevent lymph backflow.